Vittorio1 Thanks sweetie ... meow!!! herasdarne Thanks for your kind comments! Adorable creation! Very charming and sweet! I am also for cats! beautifulplace Incogneato I have two cats too! Terrible Two's! I have also 2 cats and love them so much! 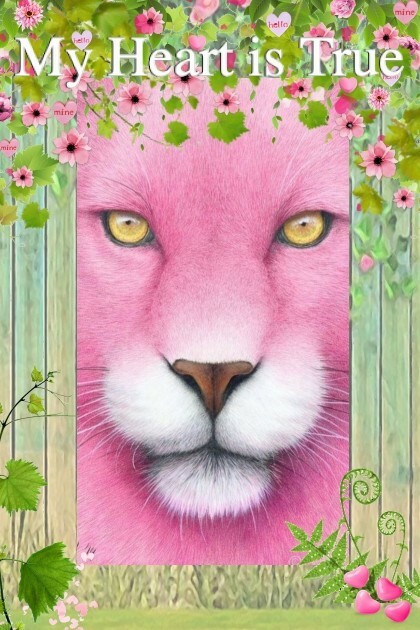 Thank you all ... and many thanks to the artist who made this lovely pink kitty! M E R V E I L L E U X ! W O N D E R F U L! haikuandkysses,	Ariel Erkeya,	Ellen Norton,	Jennifer ,	Suburbhater ,	bluemoon ,	Marina71100,	neverorever and another 27.